Alright, shout out to all of you who responded sharing your favorite baseball training aids and gadgets…. …so many I haven’t heard of that I’m going to check out. plus one I didn’t care for and A LOT of you asked about. I didn’t want to like this. When I first saw the Swing Away, I decided that I hated it. So big, so much going on. Dodgers hitting coach Luis Ortiz once told me that Americans hate picking up balls, and I thought of him when I used it. No need to chase balls. No need to even reload a tee! …but overall, this is a really slick product for home workouts. This little gadget basically velcros a tennis ball to the barrel of the bat and helps a player feel his way to a short and up-the-middle hand/bat path. If the tennis ball goes up the middle…you’re looking good. Or if your bat/hand path is a little too “round” the tennis ball is going to fly off to the left or right. If you have kids that are arm-barring or casting (which is almost all young hitters), this is a pretty cool product. I’ve had a couple of kids who couldn’t figure it out (and I was confused as to what to tell them outside of the super helpful comment “send it up the middle” , ha). But mostly this has been a nice gadget. Made by a pro hitting coach too, which is a plus. I was surprised at the price ($50) which seemed like way too much for such a simple item. And I’d rather pay $50 for something that works than $10 for something that doesn’t, ya know what I mean? These little babies are made of rubber, full of sand (I think) and super durable. One, they are a great pre-game tools for kids to be able to take full swings without needing a ton of space or netting. The balls just don’t go very far even when crushed. Second, this was my #1 tool just 2-3 years ago when the boys were like 5-7 years old, because one of the biggest problems was that kids weren’t swinging HARD enough. At least not in practice. I’d put the ball on a tee, move out about 8 feet or so in front of the hitter and say “Hit it over my head”. and it seemed a lot of their problems ironed out without having to give too many cues. But if you’re not measuring your progress….how do you really know? Exit velocity and throwing velocity. I’ve used the bat sensors and they were cool…..but you could kinda get lost in the weeds with SO much information. Which isn’t TOO hard but is just kind of a pain. The Pocket Radar is so simple. There’s ONE button and it gives one measurement. Is my kid/team ACTUALLY hitting harder? Are they throwing harder? Now, I’ll admit there’s something a lil uncomfortable about getting little guys throwing for the radar gun….so I don’t do it often. It’s not like “Hey, you’re throwing 44…I need you selling out on the mound today and get to 46+”. Personally, I use this like 3-4 times a season. Once right when we get started with the season and then every couple of months and then definitely one at the end. And the kids LOVE it. Oh man do they love it. Same principle as the heavy balls: when they start to “ask” their body for more performance….it responds. Now, sometimes the readouts seem a little wonky and I think it’s important to measure everyone at the same angle (all from the side, or all from head on….which is what I think they recommend) because different angles seems to mess with the numbers some. But I know pro scouts who use these…so it’s pretty reliable. Not a cheap option either, but man, is it worth it. Last note, there’s one (cheaper) version where you HAVE to hold the button down for a read out and another – the “Ball Coach” option – that can shoot continuous without holding the button. I got the Ball Coach and like it – though I hold the button everytime anyway – and have heard people that bought the lesser version and wish they had continuous option. Either way I think it’s pretty good. …and he uses these with his pro guys…. I spent like $7 for two at Kroger and they are PERFECT for the best drill you’re likely not doing. but I think this drill is straight up genius. And honestly, it’s been so helpful for my players that it’s not right not to share. That's the only cue you really have to give. If you look at the second picture you can see that it keeps the "barrel inside the hands"
but I've found you don't even need to worry about that part. Kids tend to do it right on their own. But for me the main benefit is the SPACE that is created by having the ball there when you set up. Still don't have the perfect words to describe it...but my swing just came out so much better compared to my normal hands-close-to-chest swing. "My hands were in the wrong place my entire career. Lol"
"How did nobody tell me!!!" And all I needed was a $3 ball from the grocery store. It's been a killer tool for my team of 9 year olds too. Truly a game changer for a couple in particular. So I make sure that ball is in my "coach wagon" for every practice. ...cuz I can't help you, haha! So simple. So cheap. This needs to be an automatic part of everyone's routine. Oh, and I was going to share the product that so many asked about that I didn't care for. and full disclaimer, I didn't give it too long of a shot. Basically the goal is to keep the barrel from "releasing" too early. ...then the velcro (that's wrapped around your arm and attached to the bat) tears and that's the feedback that you've done it wrong. We spent about 15 mins with it and every single time anyone swung with it....the velcro tore. And it was like......wait, did we do this right? Is the strap is too long for these little kids with skinny little arms? I put it on and was trying to figure it out too....and every time it ripped. Now, maybe (probably!) my swing needs adjusting, but like I said we fiddled with it for about 15 mins and then haven't gone back to it. I've talked with a few other people and all had a similar experience. But the thing won awards and is everywhere....so there's gotta be some value to it - so let me know if you've had a good experience. But in my opinion, the Line Drive Pro is more user-friendly that achieves a similar thing...or like I said, the inflatable balls in the shoulder/bat position do the trick also. I've thought about putting a list of a BUNCH of gadgets and reviewing them all if that's something you guys would like to see. Go get em today guys!!!! P.S. A friend of mine suggested I use affiliate links for the products and wanted to make it clear this is my genuine top 5. Basically, I'd get a little kick back from Amazon - a little slice 'cause I'm nice - for the referral and it doesn't cost people any more. Anyway it's kinda irrelevant but thought it was the right thing to do to give you a heads up. Thanks! 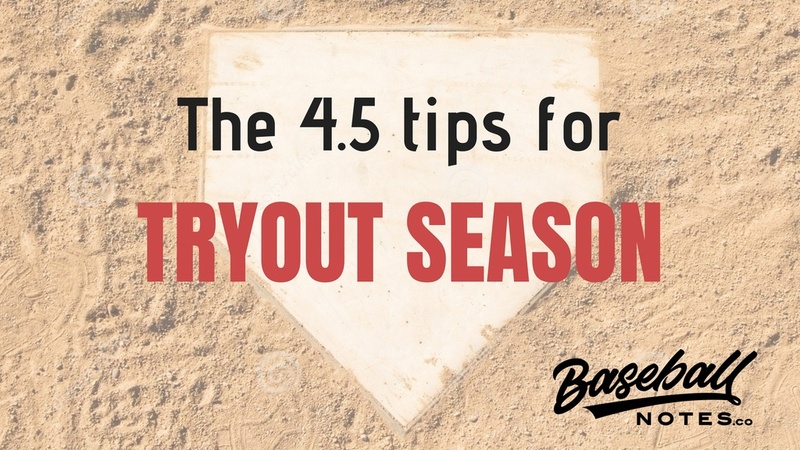 It’s tryout season, and with the first tip I want to share comes directly from this community. 1. Make sure you are putting your child’s INDIVIDUAL development above all. 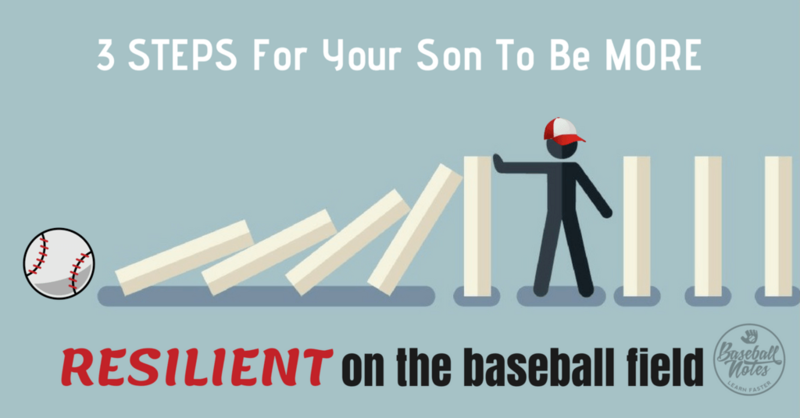 Don’t just go out for a team because you think they’re going to win a ton or if the coach is a little shaky or if your kid might be buried in the OF or at the bottom of the lineup. 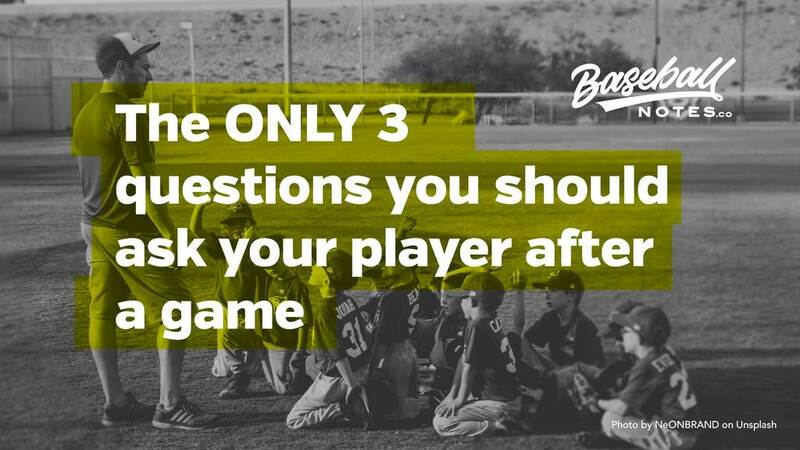 The overwhelming response from parents was that they wanted their kid to have grown as a player as much as possible (and enjoy themselves while doing it). Let me tell you, even on GREAT teams the kids who are hitting 8th and 9th (or 11th and 12th in many cases) are STILL quick to identify with “being the worst”, so be careful here. Now, iron sharpens iron and playing with good players sort of ups the ante and can inspire a player to new heights…. …but you need to be CRYSTAL CLEAR on what you’re wanting – and *not* wanting – this upcoming season and try out for the according teams. This one is big for the younger ages. It’s amazing to see how many players seem content with simply fielding their ground ball or catching their fly ball, and throwing it to the base just like they normally do. And when I say normal, I mean at about 80%!! …and he just sort of lobbed it!!! The ball bounced short of first and just kind of trickled in…. …and I was about to flip out, haha! Well I bit my tongue and didn’t say anything and he threw all of his chances the same way (and didn’t get selected). 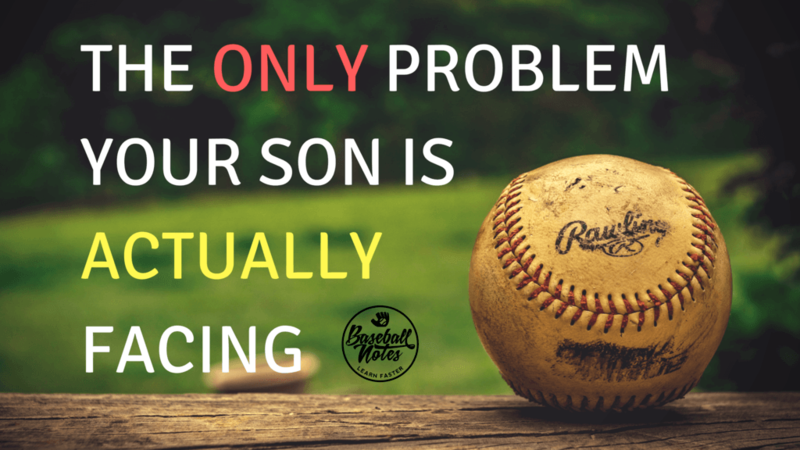 Your kid must realize he is SHOWCASING what he can do: how hard he can throw, how hard he can hit and how fast he can run. Do not let him/her go in there unaware that he needs to bring 150% to all of his throws and everything he does. I’ve crossed off several kids from my list who would have had a real chance of making the team because of how much they goofed off. There is A LOT of waiting around during a tryout format and some lack of concentration is understandable…. …but when kids are running around, playing keep away with a hat, or my biggest pet peeve – not being READY FOR YOUR TURN (“Hey #19…Aiden….hey you’re up!! !”)– they are really hurting their chances. “I hope this doesn’t go poorly”. “This is so fun, I love this”. Simply saying those words will signal the body differently and you will be FAR more likely to live into those words. I’m telling you, do this one! About 10 years ago I was putting on a tryout for a 10u team. There’s 1 or 2 roster spots left to fill and about 5-6 kids in contention to fill it and you have almost no clue on how to decide between them. One kid can hit but can’t throw, another kid can throw and run but doesn’t hit….that type of thing. Well I was the catcher for these kids during the pitching station and one kid came up to me afterward and said “Thanks coach” and shook my hand. Now, while I thought this was a nice thing I also recognized that this kid was probably buttering me up a little! But here’s the key…it worked! The “he seems like a really nice kid” ended up being one of the deciding factors and I picked him! Funny note, this kid never lived up to how well he did during tryouts and while being a nice kid – I wished I had that pick back. And I always remembered – The Handshake got me! But what I’m trying to say, is that good manners, a handshake, a thank you can be a factor when things are close. Feels like brown nosing – and kinda is(!) 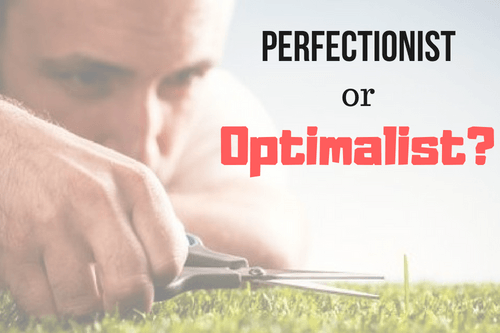 – but it can be effective when done right! Wrong way to do it: Going too far out of the way or over the top. If the coaches are in deep RF, just let them be. And it’s gotta be the kid, parents coming up to schmooze doesn’t work. But if the coach is close by and you can thank him for something, go ahead and give it a try. P.S. Oh and one final tip here that is probably most important…. This works whether you’re a believer, non believer, whoever. I promise you, it really helps. Good luck during tryouts this year, let me know how it goes!! !